Control Reliability essentially states that the safety system be designed, constructed and installed such that the failure of a single component within the device or system should not prevent normal machine stopping action from taking place, but shall prevent a successive machine cycle from being initiated until the failure is corrected. 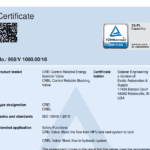 To achieve “Control Reliability”, a device should feature both redundancy and fault detection. 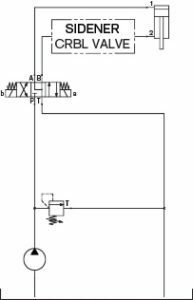 Sidener’s Energy Isolation Valve functions as a two position 3-way hydraulic valve with redundant valving elements and redundant monitoring. The purpose of the valve is to, when energized, provide a flow path for a flow of hydraulic fluid from its source to the hydraulic system. When de-energized, the valve blocks flow from the hydraulic energy source and vents the hydraulic system to tank. 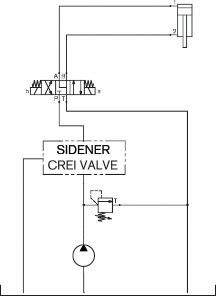 Sidener’s Blocking Valve functions as a two position 2-way hydraulic valve with redundant valving elements and redundant monitoring. The purpose of the valve is to block flow in a hydraulic system.